A couple of days ago Steve Gale wrote about the remarkable amount of Kidney Vetch on Banstead Downs, it is one of the best years for this seasonal plant for a long time. 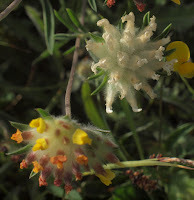 However what was all yellow a couple of weeks ago is now pinky-brown, flowering over for the year.... except: whilst walking round the Downs yesterday I noticed a patch that didn't look quite right, it was white-flowered Kidney Vetch. 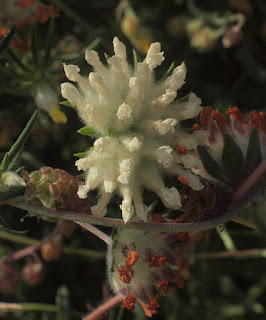 I have seen Kidney Vetch in many shades of yellow and on sea cliffs you can find pink and red forms but I have never seen white before. Yesterday when I didn't have a camera the flowers were out but by this morning when I was able to get over there with a camera, they had already started to shrivel, hence the poor pictures, the second shows the comparison with the more normal yellow.. In all I found two plants!! But enough for me to get back to blogging... perhaps! I promise to try Steve! Thanks. 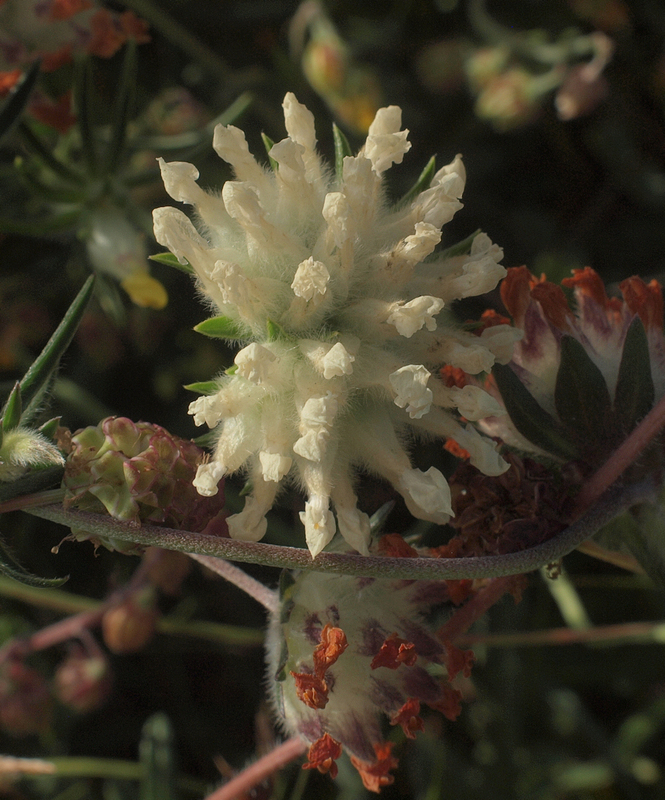 The white kidney vetch is really nice. Wonderful color also. Post is nice and the picture is amazing one. I have submitting my article in writing company of quality thesis service. It is possible writing company of making the more writing papers as quick and quality. The white kidney vetch is really nice.